This page covers all of my resources on anxiety. 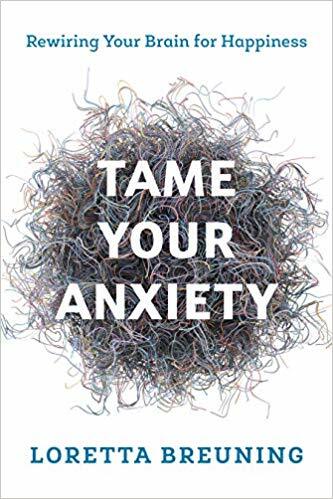 For information on my new book, Tame Your Anxiety: Rewiring Your Brain for Happiness, including a free excerpt, click here. The mammal brain scans constantly for threats. Dr. Breuning’s books help build a sense of safety. Your brain is constantly looking for ways to meet your needs and avoid harm. It alerts you with cortisol when it sees anything related to past harm, or past obstacles to meeting your needs. Cortiosl works by making you feel bad. Like an alarm bell, it gets your attention and makes it hard to focus on anything but relieving it. When a gazelle smells a lion, cortisol tells it to stop eating even though it’s hungry, and that helps it survive. A gazelle needs to eat despite the risk of being eaten by a lion. So it learns ways to feel safe while out grazing. The mammal brain builds a sense of safety in order to meet its needs. Social alliances help protect a mammal from harm. A sense of safety and a relief of cortisol often come from mammalian social bonds. But there’s a down side: any threat to your social alliances may feel like a threat to your survival. Lots of cortisol spikes can result. It’s not easy being a mammal. When you see a lizard basking in the sun, it looks like the picture of happiness. But that lizard is just trying to avoid death. Cold-blooded reptiles must sun themselves often or they die of hypothermia. But when a lizard goes out in the sun, he risks being eaten alive by a predator. So he shuttles constantly between the lethal threats of sun and shade. And his brain is perfectly adapted for the job. It releases cortisol when his temperature is dangerously low, which motivates him to go out sunning. But as soon as his body reaches a safe temperature, he runs back to the good feeling of a safe hiding spot. While he’s exposed and vulnerable, his brain constantly scans for predators, ready to run at the slightest whiff. He is not having fun yet. But he survives, because his brain is skilled at weighing one threat against another. You have the brain of a reptile at the base of your limbic system. Mammals built on top of reptilian brain structures rather than starting from scratch. The systems we added release happy chemicals to mediate social life. But we still use the reptile brain for the jobs it is good at, like alerting the body to potential harm. Nature adapts old parts rather than starting over. Your brain stem and cerebellum are eerily similar to a reptile’s brain. You are good at avoiding survival threats because your brain releases cortisol when something looks bad. Of course, you can make fine judgments about potential threats because your cortex brings its huge information-processing capacity to the job. But your cortex cannot make judgments without your neurochemicals. It sees the world as a mass of detail until neurochemicals mark things as good for you or bad for you. Your cortex is always working together with your older brain systems. You need your reptile brain to avoid harm. Cortisol is what humans call “pain.” Pain gets your attention. It feels bad because that succeeds at getting your attention. Once you experience pain, you don’t want to experience it again. Your brain strives to avoid pain by storing details of the experience, so you know what to look out for in the future. When you see things associated with past pain, your cortisol is triggered and you get ready to do what it takes to avoid more pain. A big burst of cortisol is what we call “fear.” Small drips of cortisol are “anxiety” or “stress.” These bad feelings tell you you’re in immediate danger of pain, and your cortex tries to figure out what the danger is. Your reptile brain can’t say why it released the cortisol. It just responds when electricity flows down a pathway you connected in the past. You built those pathways from real experience, so the danger feels real to you. You want to avoid stress, but you want to avoid harm even more. Bad feelings are often caused by real threats, so avoiding bad feelings promotes survival. Cortisol does its job by motivating us to do what it takes to eliminate bad feelings. We dream of a life with no bad feelings, and a world in which everything that makes us feel bad is gone. But our brains will keep releasing cortisol. We need it to avoid real risks as much as we need happy chemicals to steer us toward rewards. Sometimes we may seem over-react to threats, and other times we may mask threats with happy chemicals. Survival threats are not perfectly predictable, so we need both our neurochemical warning system and our information-processing cortex. When a cautious reptile brain is hooked up to a dominance-seeking mammal brain and a pattern-seeking human cortex, it’s not surprising that alarm signals are triggered a lot. If you expect to eliminate unhappy chemicals from your life, you are likely to be disappointed. You are better off accepting the part that unhappy chemicals play in human life. Cortisol is not just the cause of unnecessary pain. Much of the time, it succeeds at preventing pain. Cortisol is triggered by disappointment. When your expectations are not met, your mammal brain alerts you with that “do something!” feeling. 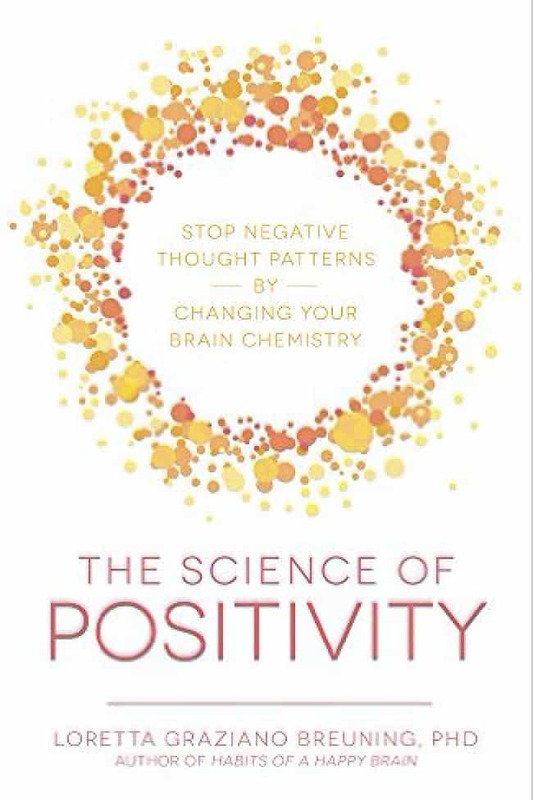 This book explains why we experience disappointment when a happy-chemical surge is over. It gives common examples of dopamine disappointment, serotonin disappointment, oxytocin disappointment, and endorphin disappointment. And it shows how you can rewire yourself to trigger more happy chemicals in 45 days. A broken bone triggers endorphin but a broken heart does not. Physical pain triggers endorphin but social pain does not. In the past, daily life held so much physical pain that social pain was secondary. Today, we spend less time suffering physical pain so our attention is free to focus on the pain of disappointed social expectations. This leaves us feeling that life is more painful even though it’s less painful than in the past. Imagine a piglet born in a litter of sixteen to a mother who has twelve teats. Each piglet struggles for nourishment from the moment of birth. Complex decisions are required. The more a piglet struggles, the more energy it consumes. But without struggle, it starves to death. Serotonin mediates these decisions. Each time a piglet dominates another, it gets a squirt of serotonin. That feels good, which motivates it to dominate again. The more nourishment it gets, the more its dominance-seeking efforts are likely to succeed. If it fails to dominate, its serotonin falls. That also promotes survival by reducing its motivation to dominate, so it spends less energy and survives on the food it has. The ups and the downs of serotonin both promote survival, by balancing energy expenditure with food intake. If the piglet got seriously malnourished, its cortisol would spike. That would promote survival by triggering aggression. Aggression is different from social dominance because cortisol feels bad while serotonin feels good. Social dominance is the calm, secure feeling that your needs will be met. When a piglet has enough energy, it strives to dominate a teat. If it succeeds, it starts striving for a better teat– one that’s closer to the mother’s heart. What makes the top teats better than the hind teats is still being debated by researchers, but farmers have known for centuries that piglets struggle mightily to get a better one. Mother Pig does not intervene in this conflict. The siblings sort it out for themselves in a few days. Each piglet learns from experience. It builds expectations about which behaviors are likely to bring pain and which are likely to get rewarded. When a piglet sees a safe chance to forge ahead and meet its needs, its serotonin flows. Nice people don’t talk about the competition for resources in nature. In polite society, it’s forbidden to acknowledge that social dominance feels good. But everyone has a brain that longs for the good feeling of serotonin. Everyone can see this motivation in others. The point is not that you should push your way to the best teat. The point is that your brain constantly monitors your access to the resources you need to survive. When the access seems secure, you feel good. And then you look for ways to make things more secure. All living creatures have serotonin, even amoeba. One-celled animals use it in a way that’s curiously relevant to us. We humans have more serotonin in our digestive system than we have in our brains. An amoeba is too small for a separate digestive system and nervous system, but it uses serotonin in a way that helps us understand its dual purpose. Serotonin signals the amoeba’s body to move toward food, and prepare to receive food. The mechanism is astonishingly simple. An amoeba constantly forages and scans for danger by letting tiny amounts of water pass through its cell membrane. If the water sample shows a high concentration of foreign material, the amoeba interprets that as danger and it wiggles away. If the sample contains a low level of foreign material, the amoeba perceives a feeding opportunity and releases serotonin. The neurochemical causes its digestive juices to flow and its tail to forge a course straight ahead. Serotonin is the amoeba’s response to the perception that it’s safe to feed. In mammals, serotonin is the good feeling of having secure access to food or other resources. In a mammalian herd or pack or troop, food and mating opportunities are typically dominated by stronger individuals. This may seem to conflict with one’s pristine view of nature. But close observation of countless species shows that each has its way of competing for resources. When animals cooperate it makes headlines, but much of the time animals are having food fights, battling over mating opportunities, and doing everything and anything to get their kids ahead. Humans strive to curb these impulses, but we’ve inherited a brain that rewards social dominance with serotonin. Once a bad feeling turns on, anything that turns it off feels good. Escaping a threat feels good because it stops cortisol, if just for a moment. You can trigger a good feeling by anticipating a threat and then imagining your escape. Alas, this triggers bad feelings too. It’s not easy being a mammal! Let’s start with a brief introduction to the chemistry of unhappiness. Cortisol evolved to signal physical pain. Pain is valuable information. It tells you to take your hand off a hot stove. You don’t have to touch a hot stove twice because the brain stores everything going on at a cortisol moment. You immediately learn to avoid anything resembling that stove. Acetylcholine helps you store experience and retrieve it in the future. Acetylcholine tells you “remember what happened the last time you did this.” Adrenaline adds the feeling that something is extra-urgent. If you decide to walk over hot coals, a surge of adrenaline alerts you to the very high stakes. Adrenaline and acetylcholine respond to good things as well as bad things, such as a glance from a special someone or a delicious smell. They rev your engine for action, but cortisol tells the engine to avoid rather than approach. Cortisol distinguishes bad-excited from good-excited. Cortisol is found in lizards, frogs, fish, mollusks, and even amoeba. It promotes survival by causing such a bad feeling that an organism stops doing other things and focuses on stopping the pain. The brain learns from pain, but a small brain only learns to avoid the hot stove it knows. A big brain learns to avoid anything faintly similar to its hot-stove experience. When a brain sees something that caused pain in the past, electricity flows to the cortisol switch and alerts the body in time to avoid it. Avoiding pain is a much better survival strategy than trying to escape once you’re in it. A gazelle would not survive if it had to feel the pain of a lion’s jaws before it felt threatened. A lion would not survive if it had to feel the pain of starvation before it started hunting. We mammals survive by anticipating pain, and acting to avoid it. Mammals evolved a new job for cortisol: social pain. The link between physical pain and social pain is simple in the mammal world. Being near others can lead to conflict and painful injuries. But being isolated can lead to the pain of a predator’s jaws. Each painful experience of isolation or conflict wires a mammal to release more cortisol in similar situations in the future. That’s why hurt feelings trigger the same chemical as physical hurt. In a social animal, both are relevant to survival. The bigger a mammal’s brain, the more it can anticipate social threats. Anything similar to past hurtful encounters can get your cortisol going. You can feel endangered a lot of the time, even though you consciously know the difference between physical pain and social pain. Cortisol creates a sense of urgency that’s hard to ignore. Animals respond to cortisol with action rather than words. They fight, flee, freeze or fawn, because these behaviors can stop threats. Understanding animal responses can help us understand our own responses to cortisol. Cynicism is eerily parallel to the animal impulse to fight, flee, freeze or fawn. In a moment when you feel threatened, cynical thoughts can bring relief. 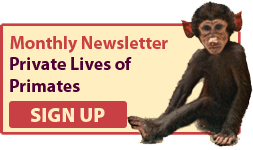 Anything that relieves cortisol promotes survival from your mammal brain’s perspective. If a cigarette relieved your anxiety, your mammal brain “learned” that cigarettes promote survival. If pizza relieved your sense of threat at some point, your mammal brain learned that pizza promotes survival. If cynicism relieved your cortisol, your brain would turn to cynicism as if your life depended on it. No one thinks this in words, of course. But when cortisol surges and you look for a way to make it stop, your brain relies on the neural circuits it has. Your circuits can expect cynicism to relieve threat as automatically as they expect fire to relieve chill and water to relieve thirst. When you see a lizard basking in the sun, you may think it’s feeling good, but it is in fact in crisis. As long as it stays in the sun, it risks being eaten alive by a predator. But if it runs under a rock, it risks dying of hypothermia. So a lizard does not bask in the sun until it feels like it’s dying of cold, and it only basks long enough to raise its body temperature to the safe zone. It stays on high alert the whole time, and then it rushes back into hiding. It hides until it feels like it’s dying of hunger or cold again. A lizard is always running from pain. It survives by skillfully chooses which threat is most urgent at each moment. Every mammal has a reptile brain at its core because evolution builds on what’s there. We humans have inherited the brain structures that enable a lizard to choose between one life-threatening risk and another. 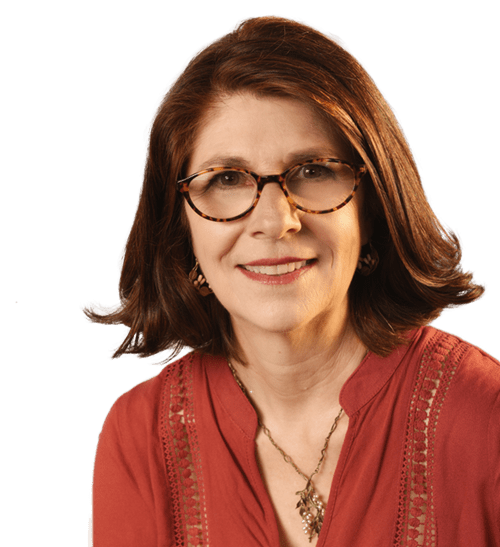 At the back of your neck where your spine meets your brain, you have structures that alert you to threats and prompt action that keeps you alive (the medulla oblongata and pons, often called the “brain stem”). This “reptile brain” manages metabolic functions like breathing and digesting as well as responding to danger. A reptile uses its hippocampus and hypothalamus to process new inputs into decisions. Your hippocampus and hypothalamus are more sophisticated and can manage more inputs, but they interact with your brain stem to interpret threats just like a lizard’s do. Humans evolved a huge reserve of extra neurons, but they feed down into our reptile brain. We distill complex information into a go or no-go decision. We strategize and optimize profusely, but we boil it all down to approaching what we expect to help and avoiding what we expect to hurt. The reptile brain has gotten a bad reputation. You may have been told to avoid “reptilian thinking,” but you cannot shut off your reptile brain. It’s the base of your operating system. You are better off understanding it. It is always trying to protect you from harm by detecting threats in time to avoid them. Alas, the reptile brain can get quirky ideas about threats. It can decide that you will die if you don’t have a cigarette or a pizza. It can decide that cynicism protects you from hurt. It doesn’t understand cynicism with the sophisticated socio-economic analysis you attach to it. It turns on the cynicism because that worked in the past. You may be absolutely convinced that you don’t care about status. But when you see other people getting all the glory, it triggers your unhappy chemicals. When you see others getting the recognition that is not coming your way, it feels like something is wrong. You may prefer not to think about status, but it’s hard to ignore the world’s failure to recognize your true worth. Your brain compares the recognition it gets with the recognition it expects. When reality falls short, unhappy chemicals flow. This is status anxiety. Your expectations are central to your satisfaction. You built these expectations from past experience. 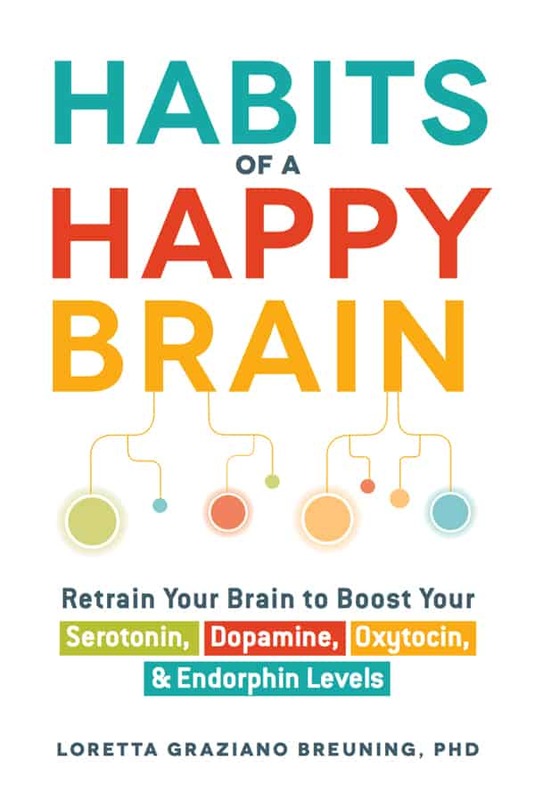 This book shows how you can rewire yourself to feel satisfied despite the fact that you will always be a mammal among mammals. Once a mammal’s immediate survival needs are met, the survival of its DNA preoccupies its attention. Status is central to reproduction, so as soon as a mammal is safe and well fed, it is likely to focus on its status. It must get busy because it risks dying before it has heirs. To the mammal brain, death and status setbacks are the same thing because they both prevent reproductive success. The same unhappy chemicals communicate both of them, which is why status threats feel so bad. Death is the ultimate status threat. At some point in the future, you will be gone and the world will get along without you. That is a very troubling thought. A brain emits unhappy chemicals when it contemplates its own demise. These unhappy chemicals color our thoughts about the future. I realized this at a lecture on long-term petroleum reserves. The speaker pointed to a chart with projections for a hundred years from now. Everyone in the room had to confront the fact that they wouldn’t be around at that point. It’s enough to give you a very bad feeling about petroleum reserves, or any other long-term projection. In the future, the world will spin perfectly well without you. This thought is so uncomfortable that the mind can be strangely comforted by the idea that things are going to hell anyway so you won’t really be missing anything. Of course, no one consciously wishes for the world to decay as they decay. Only an extremely dominating alpha-type like Louis XIV would come right out and say “Apres moi, le deluge.” (After me, the flood.) But every brain has its own modest way of finding fault with a future from which they will ultimately be excluded. No adult consciously thinks “the world should revolve around me.” But a brain sees itself as the center of the world. That’s the only way it can organize information efficiently. Life experience quickly frustrates this sense of your place in the world. You’re the center of the world in your own brain, but life experience keeps invalidating this model. It’s tempting to conclude there’s something wrong with the world. Confronting one’s own insignificance in the world can be quite a blow. Humans have traditionally eased their mortality fears by focusing on the legacy they will leave behind. We invest in children and take heart in the thought of those children carrying on. We invest in all kinds of legacies that will outlive us, and it helps ease our fear of the future. But potential threats to our legacy keep popping into our minds. The brain keeps doing its job, looking for potential survival threats so it can prevent them. No matter what your status, you can think of ways to make your legacy more secure by raising your status a bit more. As long as we have energy left in us, we keep anticipating threats and trying to do something about them. So there is not likely to be an end to people’s tendency to be frustrated about their status. The best we can do is to avoid the aggression that accompanies the pursuit of dominance in the animal world. When you consider the natural inclinations of the mammal brain, we humans have prevented violence quite successfully. Most people don’t realize this because even low levels of violence alarm us, for good reason. We don’t celebrate the fact that we can walk among strangers every day without the violence that was routine in the past. I appreciate the enormity of this accomplishment because my family had a legacy of violence.